Jeffrey Campbell Black Glitter Platform Trainers Very Comfy EU 40 UK 6.5/7. Condition is Used. Dispatched with Royal Mail Signed For® 2nd Class. On sale is a used pair of women's ASICS Gel Nimbus 18 running shoes in a Blue Purple/Silver/Sunny Lime colorway. UK size 6.5. In good used condition as pictured, visible wear on soles. Bidding starts at £2.99, PayPal only. Delivery via Royal Mail first class. Thanks for viewing and good luck! 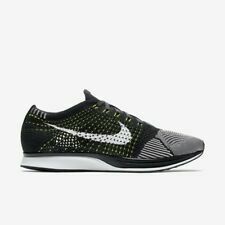 LADIES Nike Air Sculpt TR TRAINERS UK SIZE 6. Condition is Used. Dispatched with Royal Mail 2nd Class. Adidas Trainers New Size 6.5. New Balance WL 373 NTP trainers sneakers size 6.5 /40. Condition is Used. Dispatched with Royal Mail 2nd Class. skechers shape ups size uk 6.5. Condition is Used. Dispatched with Royal Mail 2nd Class. I have worn them in wet grass and they were perfectly waterproof. Terrain: Light Trail. Type: Trail. The first two photographs are from the Internet and subsequent photos are of the actual shoes for sale. Iconic DONNA leather trainers with build in platform. sz 39.5, fits 40 too. 100% authentic. Good condition however there is a small tear as seen in final picture womens nike trainers size 6.5. Condition is Used. Dispatched with Royal Mail 2nd Class. ADIDAS SUPERSTAR WOMENS UK 6.5 - EUR 40 Condition is Used. worn few times Dispatched with Royal Mail Signed For® 2nd Class. Used. Purchased last year direct from Axel Arigato online. Selling due to wardrobe clear out. Box included (plus Dustbag Chopsticks) Post: Royal Mail 1st Class Signed For only. Will post out same day/day after payment is received. Payment: PayPal only. Any questions, please just ask. You are looking at a pair of ladies Fila Disruptor II Repeat trainers in a white and red colourway. They are made from a synthetic upper and have a bulky retro profile. The logo stitching is in silver and red and the bold silhouette is rounded off with a chunky, jagged sole. Used. Selling due to wardrobe clear out. Box included. Post: Royal Mail 1st Class Signed For only. Will post out same day/day after payment is received. Payment: PayPal only. Any questions, please just ask. Chuck Taylor All Star Perf Suede. These Chuck Taylor All Star low top sneakers are a fresh take on the classic kicks you love. These kicks are the perfect balance between precise craft and comfort. Superga 39 1/2 Trainers Excellent Condition. Only Worn Twice. Condition is Used. Dispatched with Royal Mail 1st Class. vivobarefoot Watershoes White 7/40. Condition is Used. Dispatched with Royal Mail 2nd Class. Nike Outburst Trainers in Summit White / Black Size 6.5 UK. Brand new with box. RRP £69 so a real bargain Dispatched with eBay delivery – Shutl 2-3 days. You are looking at a pair of ladies Fila Spaghetti Low trainers in a triple black colourway. 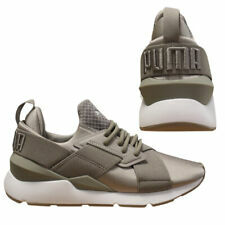 They are made from a breathable leather and synthetic upper with synthetic panelling for reinforced support. Adidas Orion Original Sky Blue Womens Trainers Size Uk 6.5. Used, good condition ( small marks see two last photo)uk bids only please!Dispatched with Royal Mail 2 st class! Have nice bidding! NIKE RIFT SPIT TOE TRAINERS. WHITE LEATHER WITH GOLD TRIM. GENERAL WEAR & TEAR. Adidas womens Los Angeles trainers size 6.5. Hardly used but they do have some stains on them, as seen in picture. Comes with box. Dispatched with Royal Mail 2nd Class. Limited edition Nike Air Max 90 London Eton Mess size 6.5. Condition is Used - only worn a handful of times as too big for me. Dispatched with Royal Mail 1st Class.